The statement "Our children are our future" is not one that is foreign to most people. In Israel, extra care is placed upon the next generation in almost every aspect of society, from interior infrastructure, to unique laws providing free daycare for all children up to age three. So why are almost 15 percent of youth in Israel considered to be at-risk? According to the Ministry of Social Affairs and Social Services' website, out of the 2 million children living in Israel, over 330,000 are children are considered to be "at-risk". The definition of "at-risk" youth, according to the ministry, includes children who are in immediate danger and exposed to violence and or abuse; children who suffer from mental illness and/or behavioral anomalies; those who are not or cannot be cared for properly by their guardians; children who are deemed a danger to themselves or to others around them; children who have broken the law or are deemed likely to do so; or children from broken or impoverished homes, from homes where a parent has died or suffers from a chronic illness. With a country that is dedicated to the preservation and continuance of life, and that lauds youth to such a great extent, this percentage is quite staggering. For the past few years, Karmey Chesed has been stepping in to bring this troubled sector of society some much-needed hope. The organization achieves this by working from within cohesive families who are considered to be at-risk or close to being at-risk, by providing financial assistance, relieving pressure, and providing goods to alleviate sometimes-impoverished conditions. The family units, even broken ones, can then better provide a happy and sustaining home for the youth, and thus prevent them from becoming, or continuing to be, "at-risk". Yisrael Cohen, who works at a youth home that preferred to remain nameless because it works with at-risk youth, extolled the generosity and accomplishments of the organization. "Karmey Chesed, helps us work within the families within the homes, where these problems start. They help provide the families with whatever they need - money, food, clothing, furniture - and this alleviates a lot of the difficulties that these families, and the children specifically, have." Cohen told numerous stories in which parents were apathetic to their children and gave them nothing. These children came to the youth home looking to receive some of the love and physical necessities that being a child requires, such as food, clothing and shelter. "Karmey Chesed is always there to help out," he said, "and they do so generously and with all their heart." The group home hosts the children or teenagers for a night, a week, sometimes even a month or more, however long the children need to be out of their own homes for things to settle down. The ideal of the youth home would be not to have to house these children at all; it would be for the families to be able to care for and deal with the children themselves. However, that is not always possible. "We have one family who currently has four children by us, and they just had another baby," Cohen said. "They come for all sorts of reasons, sometimes it is because the children have mental disorders that the parents don't know how to deal with, sometimes the families are destitute and have nothing to give their children, other times it is because of divorce, or worse, violence and abuse. Whatever the case may be, we are here to help, and we are able to give a lot of that help to the children and to the families, due to the great work that Karmey Chesed does." The center also provides daily activities and a social network for the children to thrive in. "We try to give them as normal a life as possible," said Cohen. "Many of them are completely normal, and participate in regular schools and institutions as much as possible, other get special ed benefits. Some parents are ill and cannot care for their children and the children come from good homes, but automatically things are not the way they should be; those are very sad cases," Cohen said. 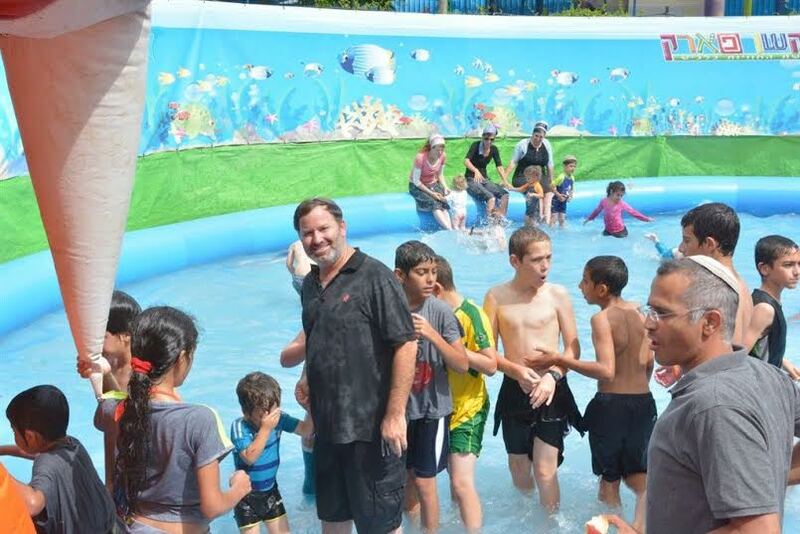 When asked why he felt Karmey Chesed puts such an emphasis on caring for children and helps out his youth home so much, Cohen responded by saying, "These children came to the world in this situation through no fault of their own; they are simply children. They deserve all the warmth, love and caring that every child deserves, and that is something that we here provide as well as our partners at Karmey Chessed. That is what is important, and can keep these children off the streets and out of trouble. They need caring, just like everyone else does, and we are happy to provide what we can."